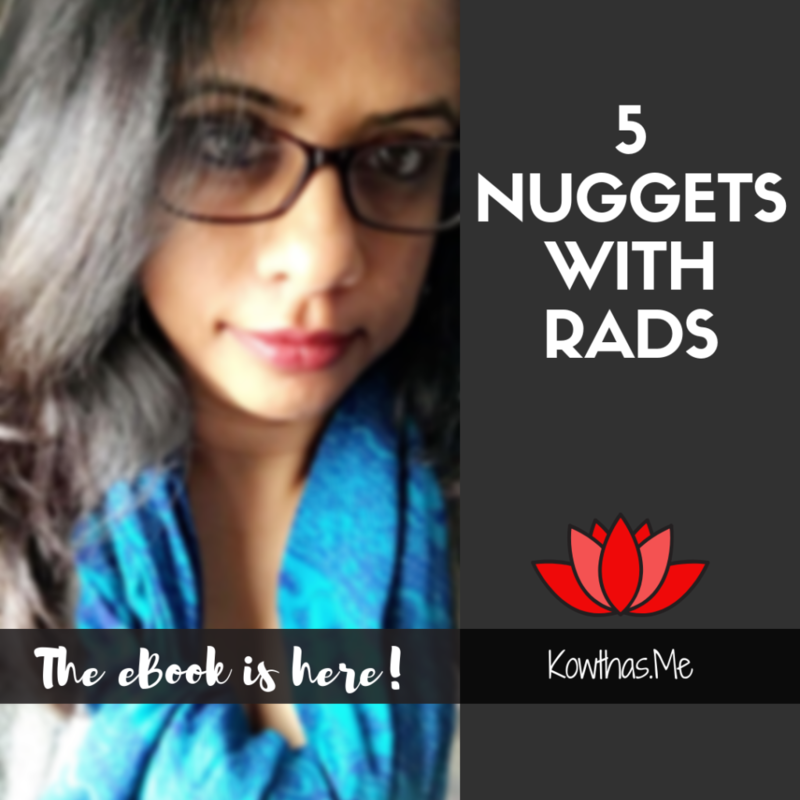 Super thrilled to announce that the long awaited eBook is finally of the 5 Nuggets With Rads ready for download! It all started in January 2018. 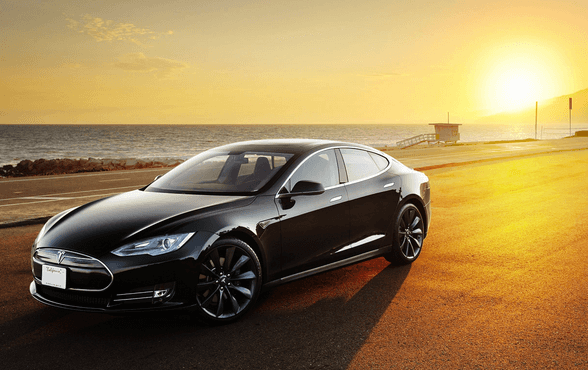 Check this post for when and what my frame of mind and intent was back then. If you are new here and don’t follow me on Instagram, then let me introduce you to this project that I stuck on for the entire year 2018 and I got to feature and ask women (and girls) what they believed in and shared those as #5NuggetsWithRads. It was a project not only dear to my heart, but seemed to make a difference in many a young woman’s day and thoughts. For that reason alone, am filled with glee and gratitude that I stuck with it as long as I did. The learning has been tremendous and especially more so as we revealed parts of it each week. when you stumble upon a good thing, common sense and logic will advise you to stick with it. Girls are just getting started with raising our voices above the din of the world, the men, and our own conditioned brains, and world over, the girls are rising! To continue to celebrate in this sisterhood, I aim to bring more voices to the front. Women struggle to find equal footing in many areas, and for this year, I hope to focus on a niche. Women and careers. Sheryl Sandberg, Michelle Obama and others have all voiced their opinion and assertion that women are not paid as much as their male colleague, or bypassed for their male competition. There’s more to this and despite us knowing in our heads that unfairness is our playing field and we should be speaking up, I still see many a girl unable to find their voice. To get their anger move them into action. For their tears of frustration force action that is handed out in fairness and not as a truce. We have a long way to go, and the only way we can all get there is together. To not just focus on our path alone, but to pave the path for other girls and to even reach out and pull them up, coz all of us know there’s plenty to go around. 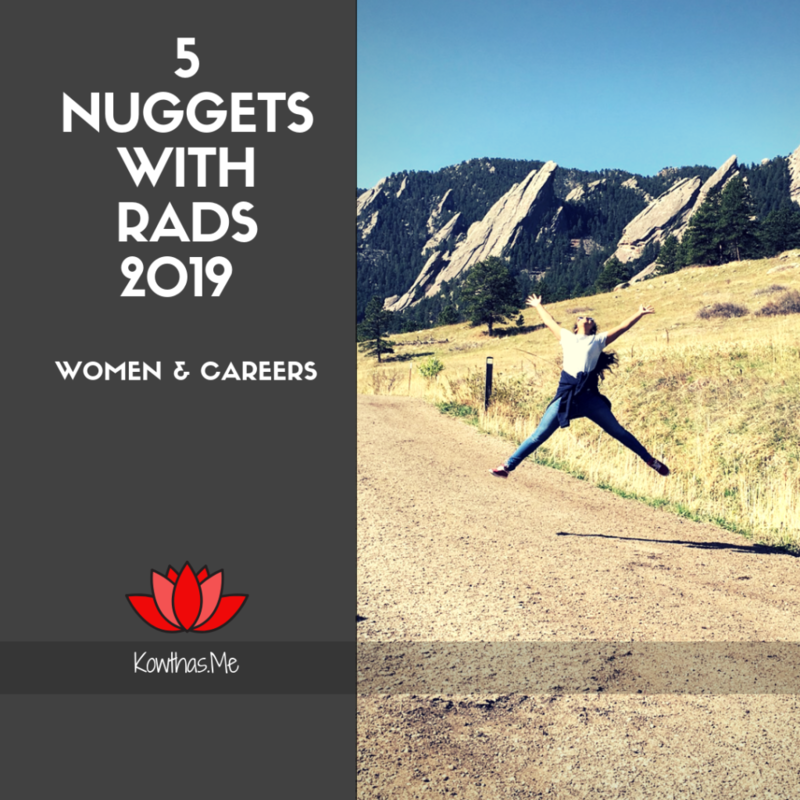 Ergo, 5 Nuggets with rads will continue to feature, with a focus on Women and Careers. I will be featuring women who work for themselves to ones who work for others including the ones who quit and ones who couldn’t get started and ones who are stuck and the ones who will benefit from a nudge. It’s a spectrum and I hope this will encourage and forge bonds that will get stronger. That’s one way to raise ourselves, by empowering each other. If you are on Instagram, do follow along? If you would like to be featured, fill this form and I will get in touch.